This was a project I didn’t intend to blog about. But after putting up this photo on Instagram, quickly taken with my iPhone, the interest was huge! 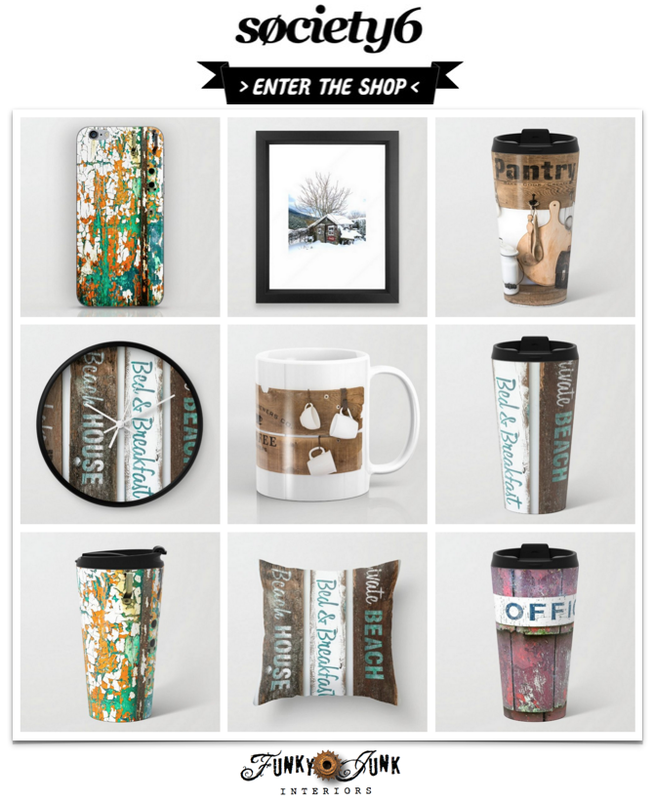 So I felt maybe it was worthwhile sharing with you here, for those struggling with gift ideas. 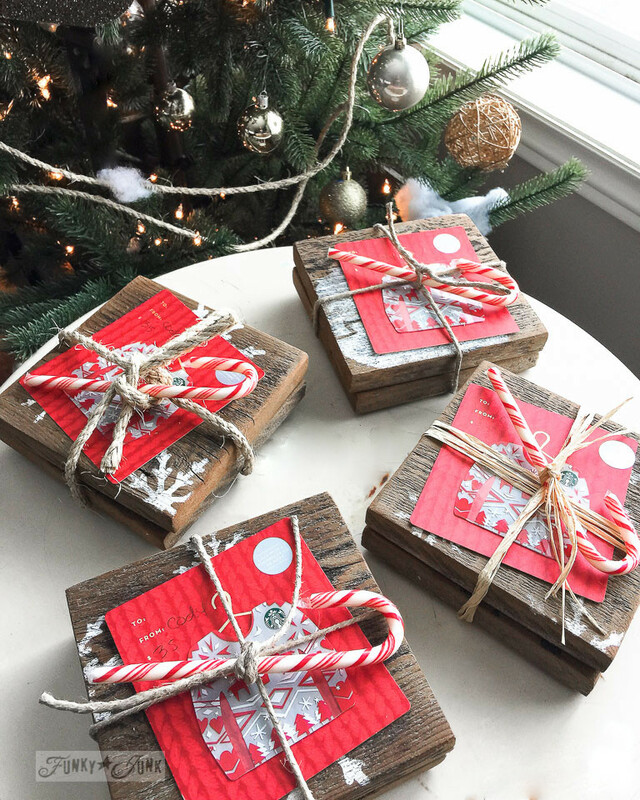 We needed 4 gifts, and finding out the recipients loved Starbucks, that made my job really easy! They have the most adorable gift cards now, but I fell hard from the ugly Christmas sweater shape. So cool! But a card alone is just a card… wouldn’t it be fun to also plop that fab beverage on a cute coaster? I could certainly manage that! I love making coasters. 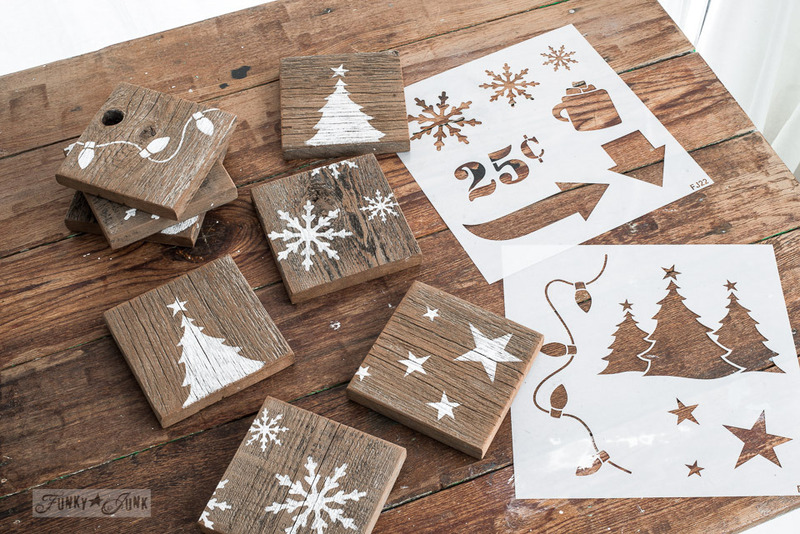 They are cheap, if not free to make just from wood scraps, and you can personalize them any way you wish, if you have some stencils on hand. 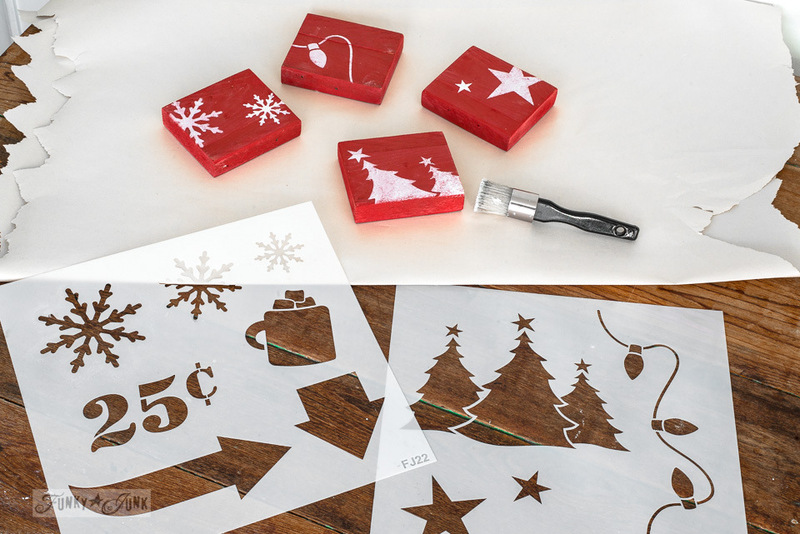 Here are all my projects made with stencils. 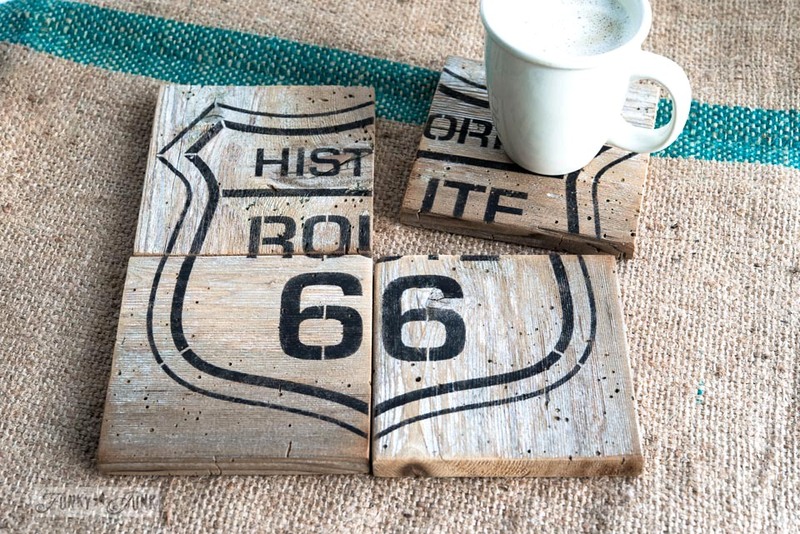 But these coasters have a secret… they are reversible! So one side is festive, and the other crate style. Fun! The wood chunks were cut from fence boards, in exact squares. These are beefy coasters! 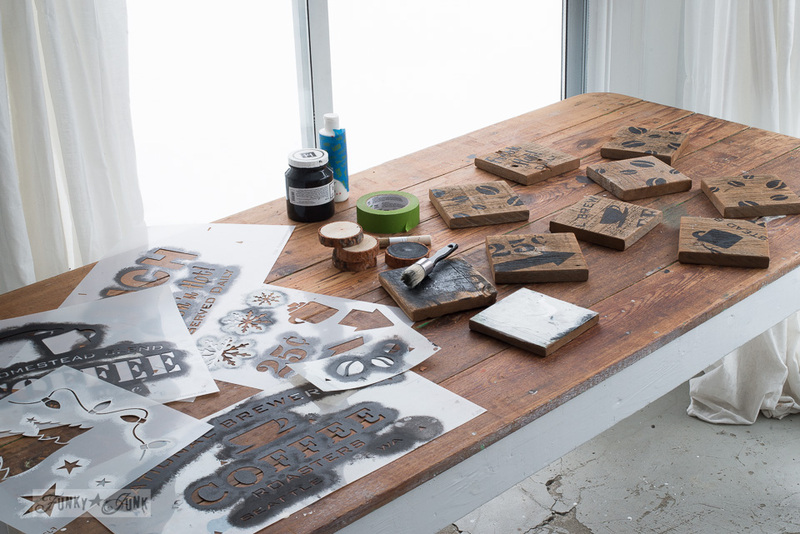 After lightly sanding the edges, they were stencilled in random patterns, attempting to team up two designs that looked nice together. Aren’t they cute?! But let’s do something equally fun on the other side too, so they are good to use year around. And here is the all season, crate side! 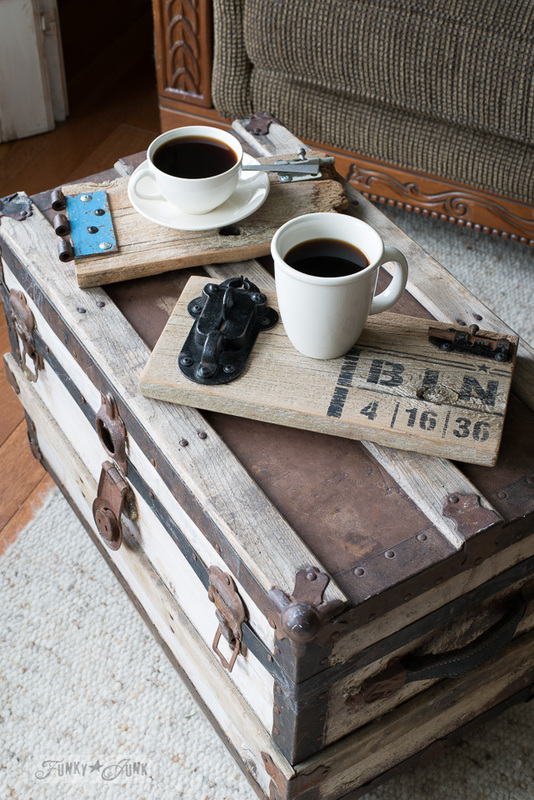 A medley of coffee beans, chunks of coffee stencils, anything that looked crate like did the trick. 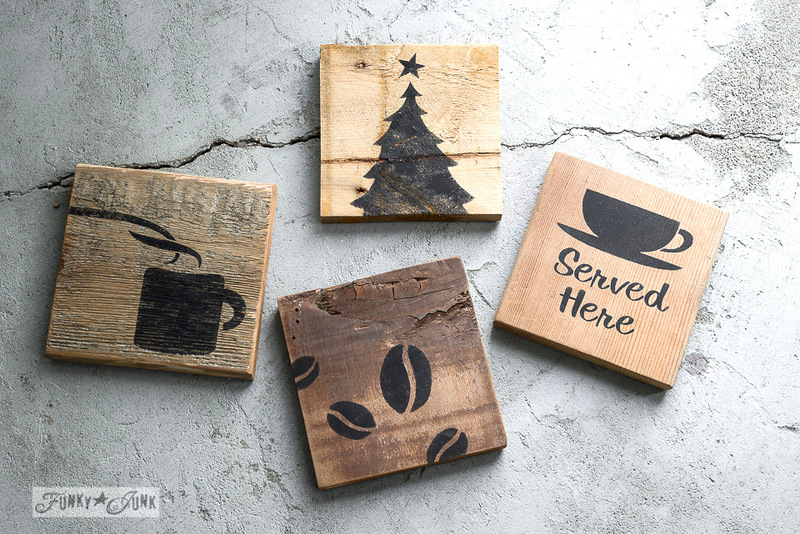 Stencils used: International Brewers Coffee with the beans, Homestead Blend Coffee, and Winter Graphics you can find HERE. 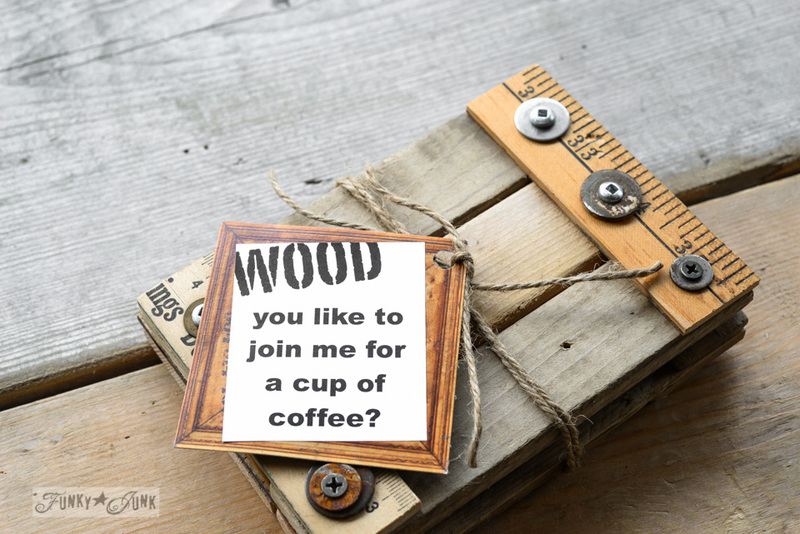 The project was a simple one, but I feel the addition of the coasters made a huge impact! And a little touch of homemade. 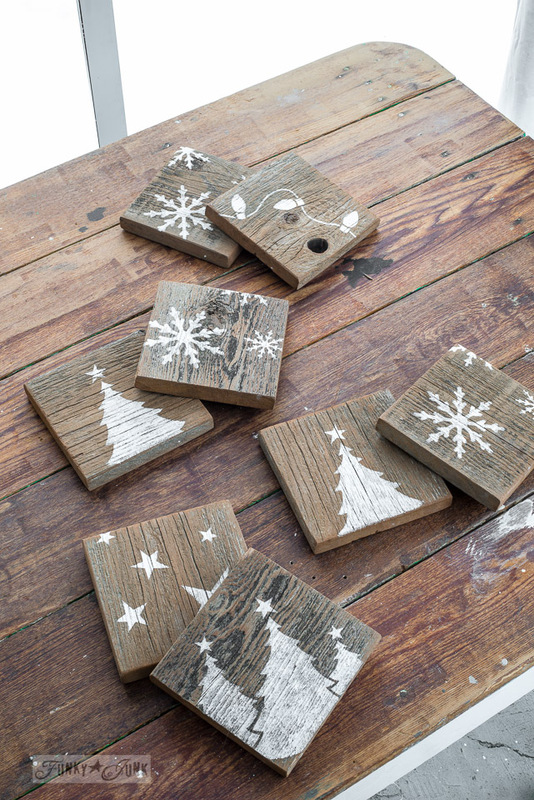 Here are some other coasters I’ve made in the past as well…. Some in red… bright and fun! You might say I’m a coaster fanatic. 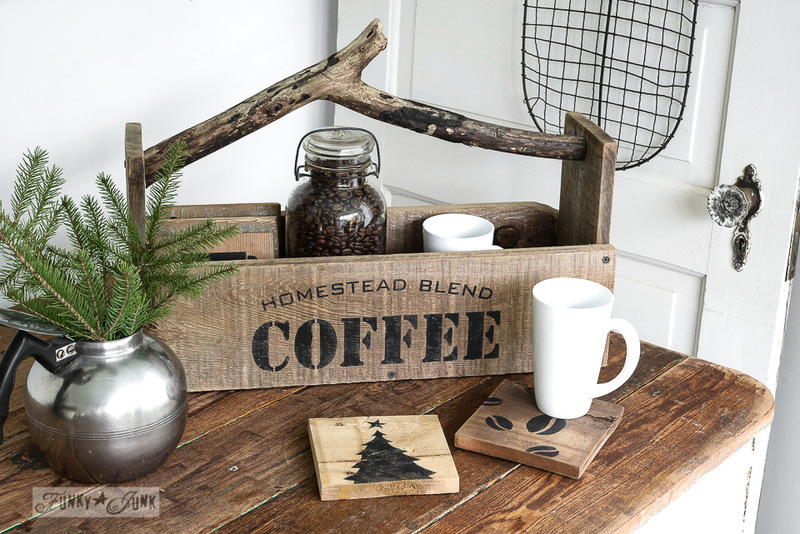 I just love those coasters, the crate sides just as much as the festive ones. Great idea Donna and beautifully done! the coaster idea is awesome. I love gifts like this…handmade touches and simplicity! That’s what it’s all about to me. 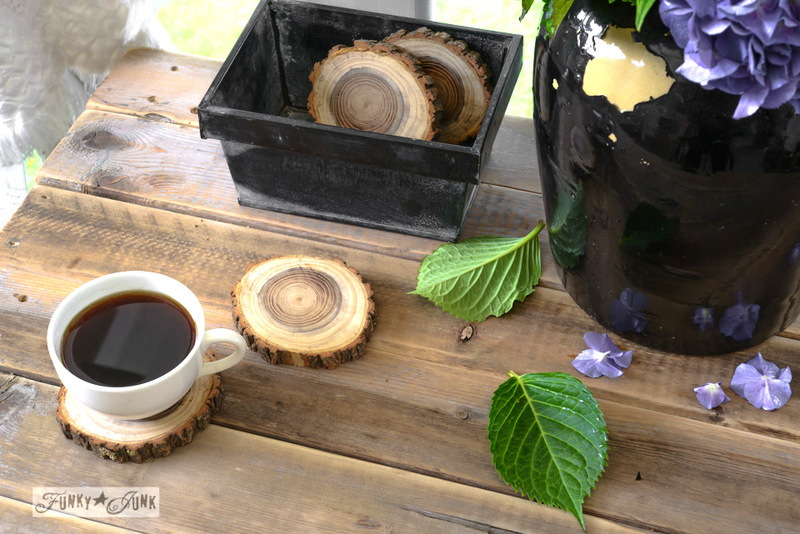 Oh, how I love those coasters and the fact you can use them all year around. Also, for sharing on your blog since I am not a follower on Instagram. Your whole collection is nice also. The coasters just complete the gift…love them! Hi Donna. Glad for you to hear you’re back where you love to be. I hope your stay in Hawaii is incredible, which it will be. Also, really love the coasters. What a unique and adorable way to use wood pieces. I love them all. 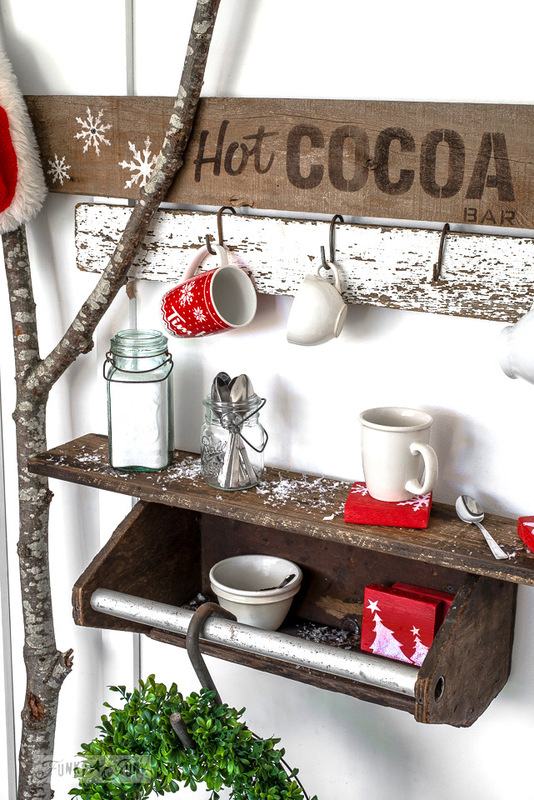 Would have trouble choosing painted(the Christmas red yes please)or the rustic wood. I would use them all. Thanks for the post! These look great! 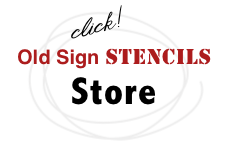 Did you spray paint or – if not- what kind of paint did you use with the stencils on wood? Hi Jo-Ann! I believe I used white acrylic craft paint for these. I also love to use Fusion Mineral Paint. Casement is their version of the whitest white I believe. Hi! I love these! 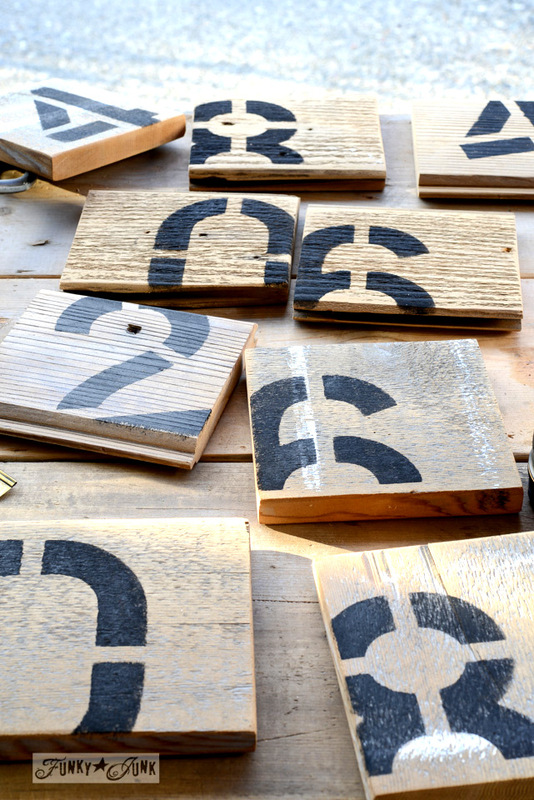 Did you use a sealer on these at all? If so, what kind? And if not, did the paint not come off after having a wet glass on it and the water did not soak into the wood? I tried sealing one with wax but didn’t like how it darkened the wood, so I left them bare. I have never had an issue with paint coming off. You could use Tough Coat by Fusion Mineral Paint if concerned, however it does add a slight glossy sheen to the wood. Ok thank you. I make the picture ceramic tile coasters and I make stamped coasters on the tumbler stone and use sealers for both so I wasn’t sure if these actually needed to be sealed! Worth a try for sure! Thank you! These are adorable! I think I am a little late to asking a question… but do you seal these when you are done painting? You certainly can! 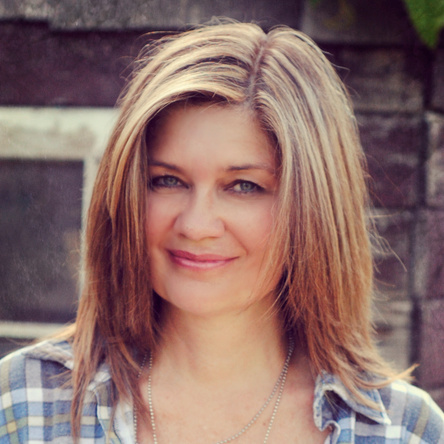 I generally don’t because they’re reclaimed wood and I use a paint that does will with no topcoat (Fusion Mineral Paint) however Fusion has a fab product called Tough Coat that leaves a matte – satin clear finish. You could also use a wood wax, or hemp oil. Any would work. I’d just test the coat on scrap wood as they all darken the tones somewhat. Good question! 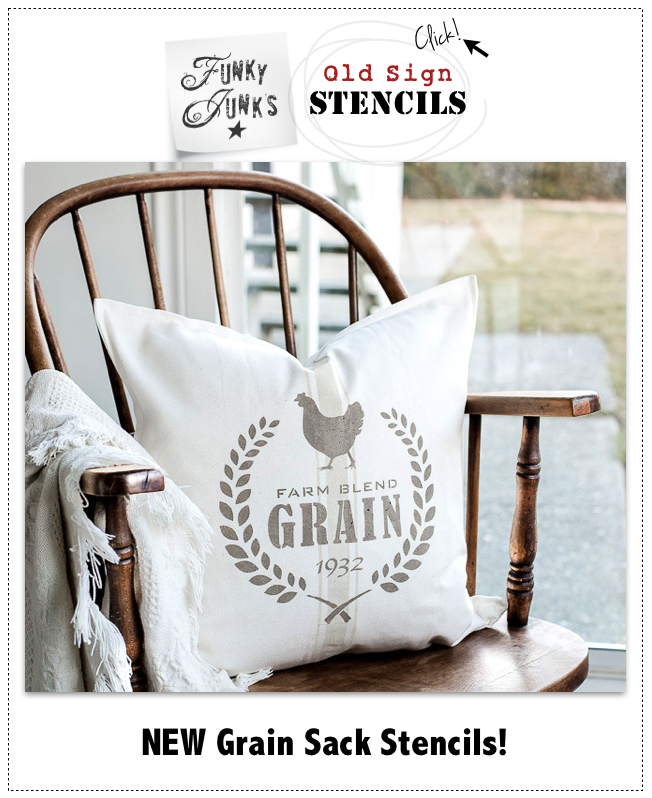 As I’ve said before, I LOVE your style, your projects, your stencils..all of it! I have a quick question! 🌲 I’m making some wood coasters to give as gifts tomorrow. (What?! Think of it as last minute Christmas shopping! Lol!) In your tutorial you said to sand the edges. I noticed a couple of other diy-er’s said the same thing. My question is why not sand the whole coaster? Is there any particular reason for not sanding the entire piece? I think everyone just means to emphasize that the fresh cuts will be sliver inducing sharp. An overall sanding is fine, I just wouldn’t go overboard or you may lose the old patina. p.s. Good for you! I’m baking my first batch of cookies at 10:30 pm Christmas Eve so allow me to join your 11th hour club! haha Merry Christmas! Good morning. 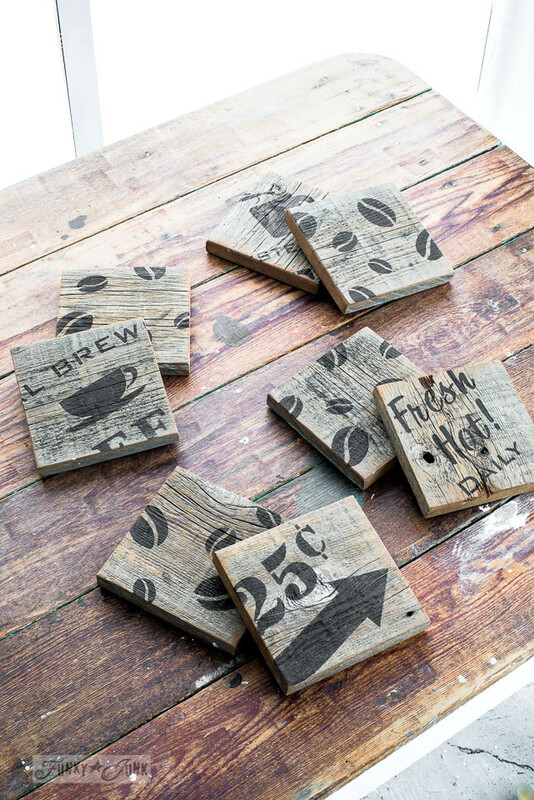 Love the wood coasters. How does one protect these from stains? You could easily coat them with wax, hemp oil or some kind of clear coat meant for wood. Love your work! Can’t wait to make some with the grandkids for gifts for their teachers. Hope you have a wonderful holiday..